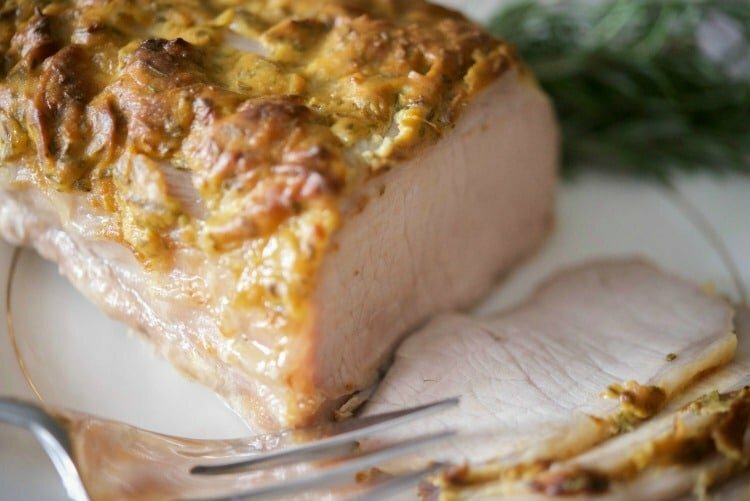 The mild flavor of Dijon mustard combined with the woodsy flavor of fresh rosemary, make this Dijon Rosemary Encrusted Pork Loin the perfect meal for holidays or Sunday Supper. I love simplicity; especially when it comes to the food I eat and serve to my family. I’ll be flipping through a magazine or searching online for new recipes to try and if it has a laundry list of ingredients, I’ll pass it right up. Who has time to go searching for all of those ingredients; especially if they can’t be found in your local grocery store? Certainly not me and I’m sure you don’t either. That’s why I wanted to make a roast to share with you for Easter that is simple to make and has a ton of flavor. This Dijon Rosemary Encrusted Pork Loin certainly did not disappoint. I generally host Easter; however, this year my sister in-law has decided to do the honors. 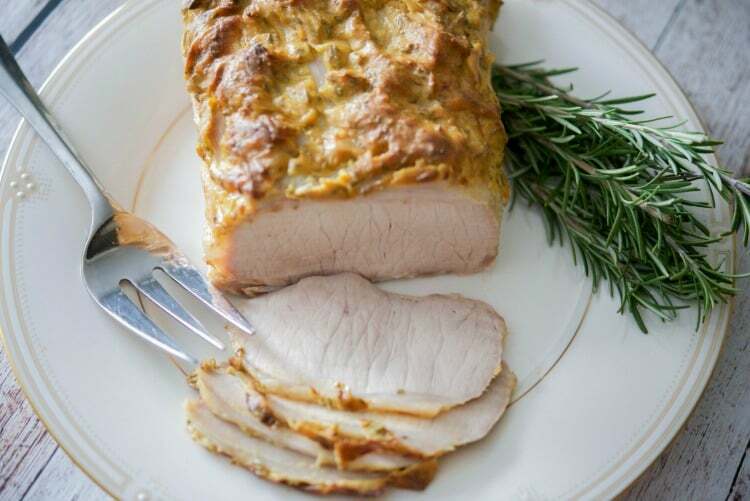 In the past, I would generally make a ham or pork loin roast as the majority of us don’t eat lamb and as the kids got older, they aren’t very fond of ham any more either. When I go shopping, I generally purchase a large, boneless, center cut pork loin roast (about 5-6 lbs.) and then cut off a piece to roast for Sunday Suppers. I then slice the remaining roast into boneless pork chops; as it is generally more cost effective this way and you can get several meals out of the one roast. I also like the fact that I can control the thickness of the pork chops depending on how I want to prepare them. Once they’re cut down, I wrap them tightly in plastic wrap and place in a resealable freezer bag and place in the freezer until I’m ready to use them. I generally use the chops within 3 months, but they can last up to 6 months in the freezer. Anyway, back to this Dijon Rosemary Encrusted Pork Loin. I started off by combining Dijon mustard, fresh chopped rosemary, lemon zest, extra virgin olive oil, salt and pepper; then brushed it on top of the roast. Before placing the roast in a pan, add some water, chicken stock or white wine to the bottom; maybe about a cup (just enough so that the roast doesn’t stick to the bottom). Bake the roast in a 350 degree F oven until a minimum internal temperature of 145 degrees F. (We prefer our meat more on the well done side so it took 1 1/2 hours for a 2 lb. 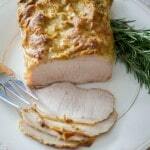 boneless pork loin roast). While the roast is cooking, do not baste with the liquid so that the crust stays in tact. Once you take the roast out of the oven, allow the meat to rest for at least 10 minutes before carving; which helps seal in the natural juices and keeps the meat moist. 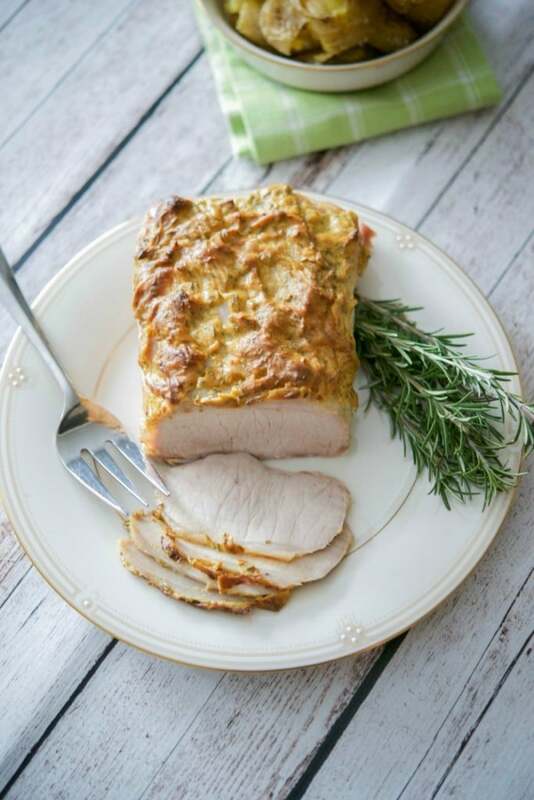 This Dijon Rosemary Encrusted Pork Loin was delicious and loaded with flavor. By not basting the meat during cooking, you also get that tasty crust in every bite. 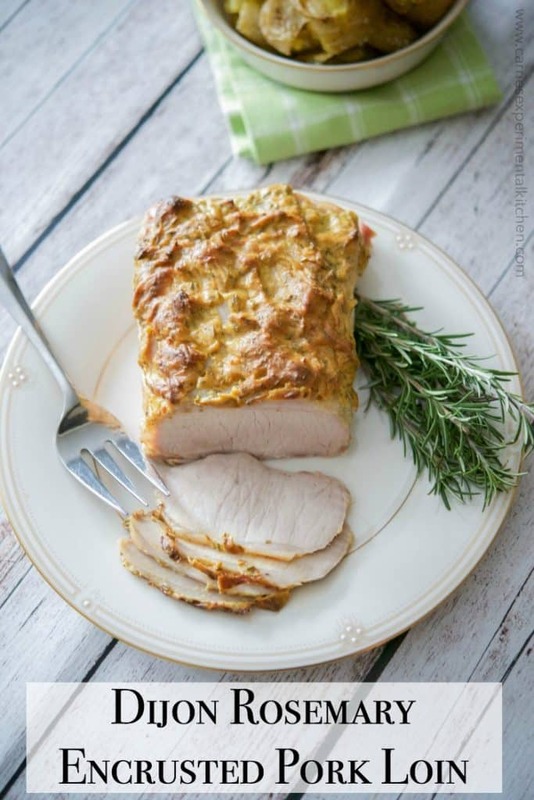 It makes the perfect meal for holidays or Sunday Suppers. 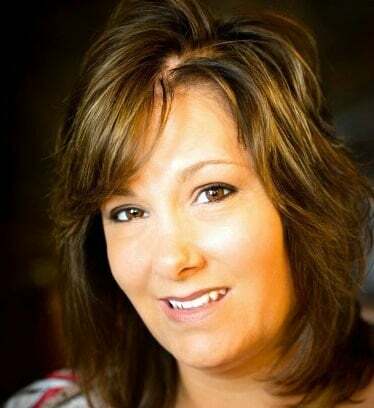 I served ours with steamed carrots and Sea Salt Smashed Potatoes and my family loved it; I hope yours will too. ~Enjoy! Combine the mustard, rosemary, lemon zest, oil, salt and pepper in a small bowl; then brush on top of the pork loin roast. Place the pork in a roasting pan; then add the liquid to the bottom. Do not baste the meat during cooking, this it to prevent the roast from sticking to the bottom of the pan. Bake for 1-1 1/2 hours according to your liking (minimum internal temperature 145 degrees F). Remove from the oven and allow to rest 10 minutes before carving.